AromaTouch is a clinical approach to applying essential oil along energy meridians and reflexology points of the back, feet and hands to help balance, protect and energise the entire body. 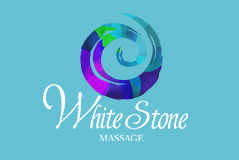 It promotes relaxation and stress relief, offer immune support, decrease pain and inflammation and elevate mood. Although a gentle technique, it is super relaxing and energising at the same time. This treatment is only available in 1 hr treatment at a cost of $125 per session.